It’s time guys and gals – do you know what it is? It’s wedding beauty prep. I am going to let you in on what I’ve been using, from face cream to body scrub to hair mask. 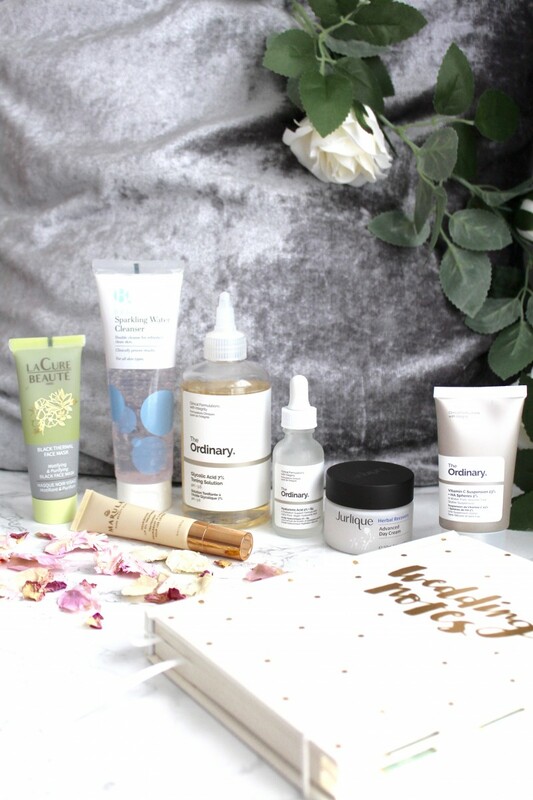 I’m kicking off this series with skincare (my favourite subject, obvs), so if you fancy finding out what I’ve been using to get my skin wedding-ready, carry on reading…..
A good base always starts with clean skin, so I always ensure I cleanse my skin thoroughly morning and evening. 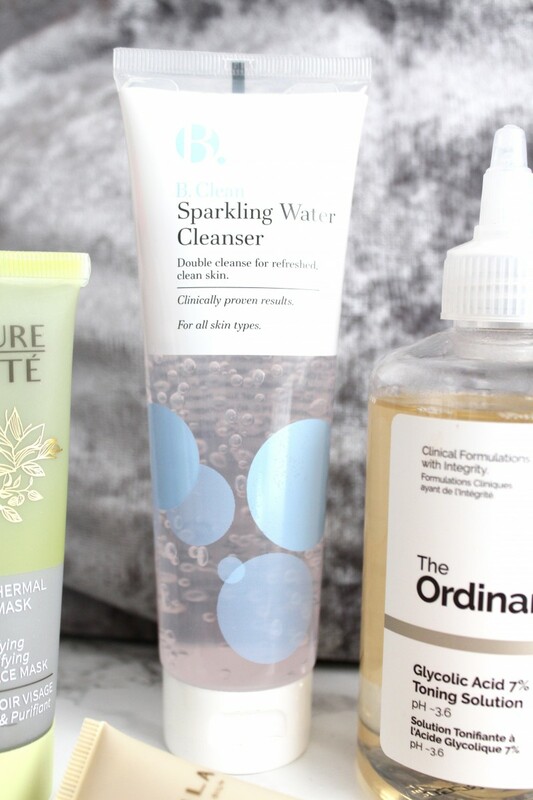 The B Sparkling Water Cleanser does exactly what it says in the title, it leaves my skin sparkling clean and feel so refreshing after each use. The gel to water formula glides over my skin, removing all traces of dirt and make up and creates the perfect base for the rest of my skincare. 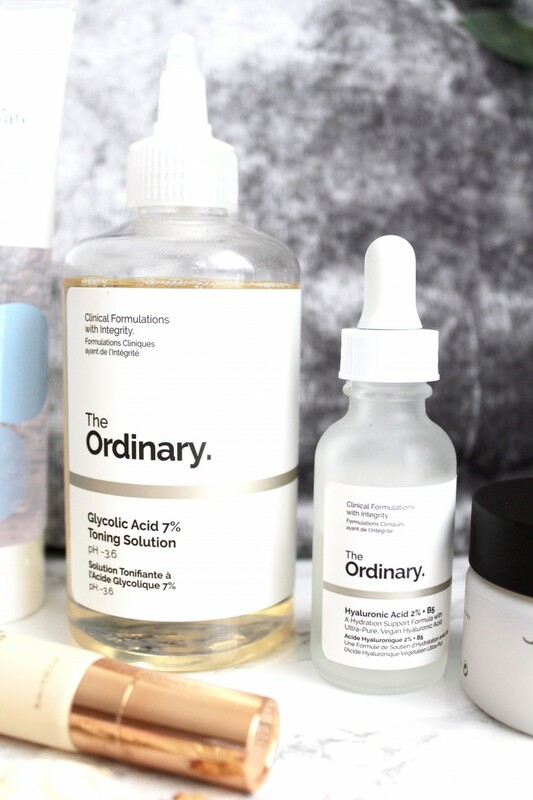 I’m relatively new to glycolic acid and to the brand The Ordinary, yet I am absolutely loving the result it has on my skin. 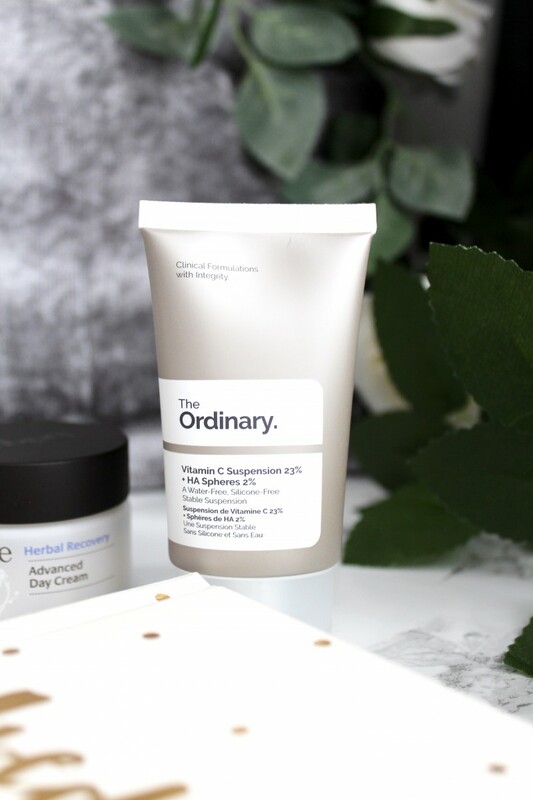 I only use this product in the evenings and only once a day as it does penetrate the skin real quick whilst performing an exfoliating effect. Glycolic acid is renowned to treat uneven skin tone and thanks to its brightening properties, my skin has never looked and felt this great. 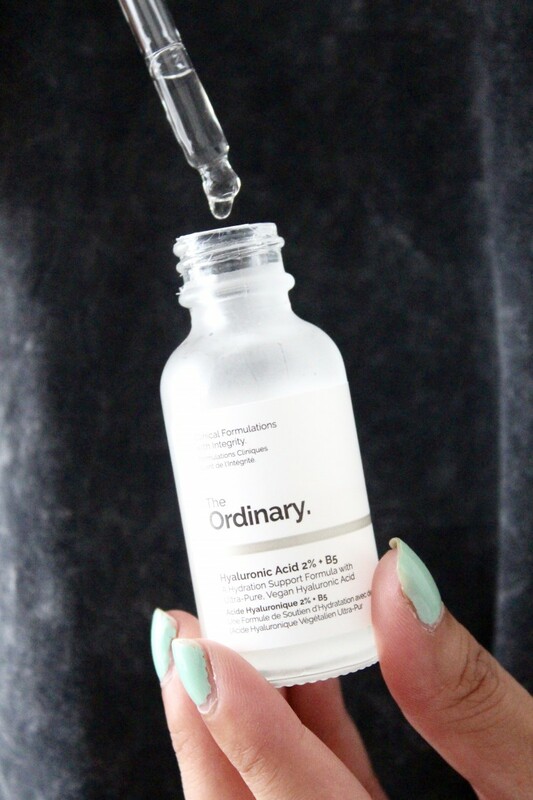 Following the same brand, their Hyaluronic Acid is the perfect add on treatment after glycolic acid. It instantly soothes my skin, locks in moisture and retains it by penetrating in to the skin instead of just staying on the surface. I use this in the day and evening before moisturiser, the gel consistency feels light on the skin and smooths it out, making it ready for the next step. I have been following the same routine using three moisturisers for the past month and I am so, so impressed. 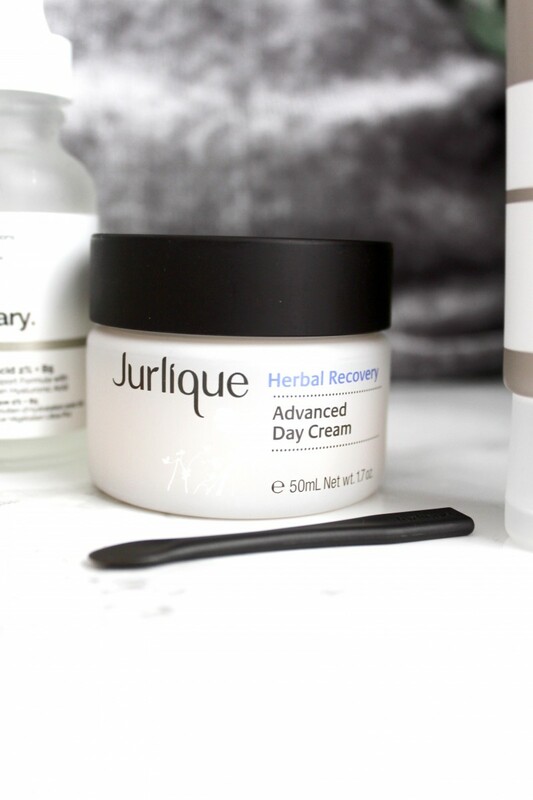 I use the Jurlique Herbal Recovery Advanced Day Cream in the mornings and at night I normally use the Clarins Multi-Active Nuit Night Cream as well as The Ordinary’s Vitamin C Suspension once a week. 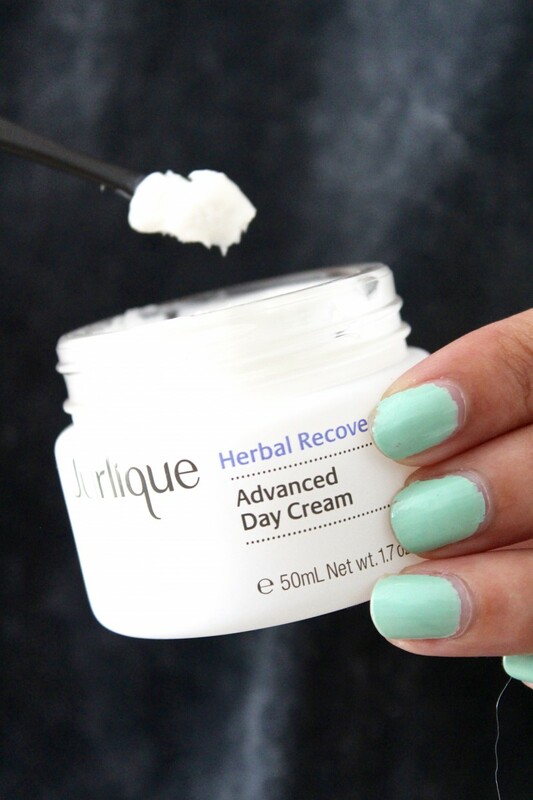 With the Jurlique Day Cream, I love the fact that it’s lightweight and applies smoothly on to the skin, it gives me a great base for make-up and enough moisture for the day. 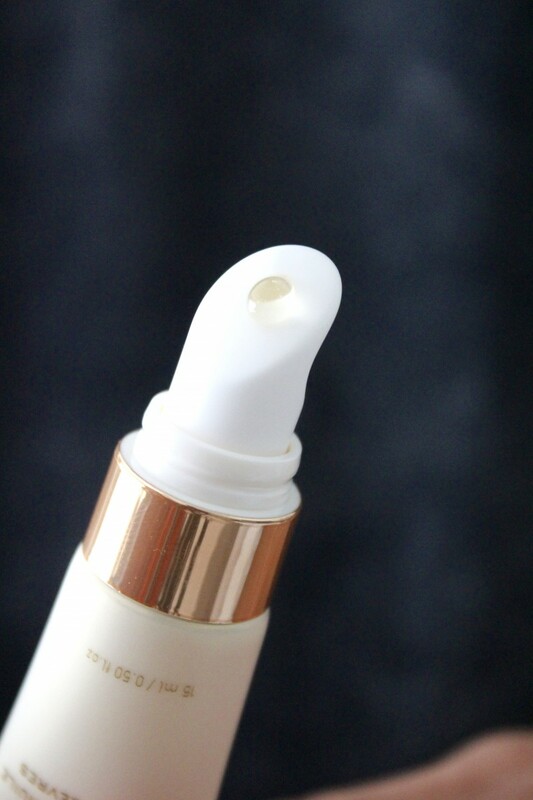 At night, the Clarins Night Cream is rich, hydrating and soothing. Once a week, I apply a dose of the Vitamin C Suspension and it really does work a treat on my skin. The texture of the cream is gritty and does feel a tad uncomfortable upon application, however, the effect subsides quickly and I love my brighter and smoother complexion when I wake up the next day. 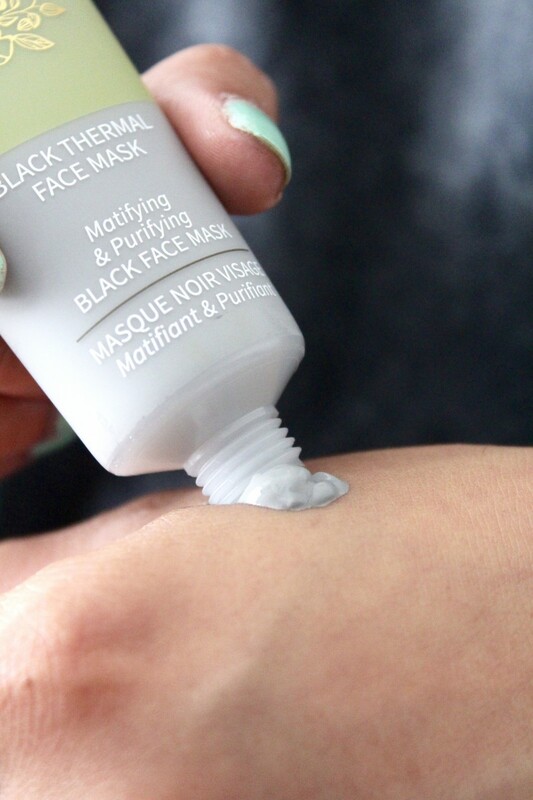 Once a week, in the last month, I have also been treating my skin to a weekly pamper by using a mud mask. 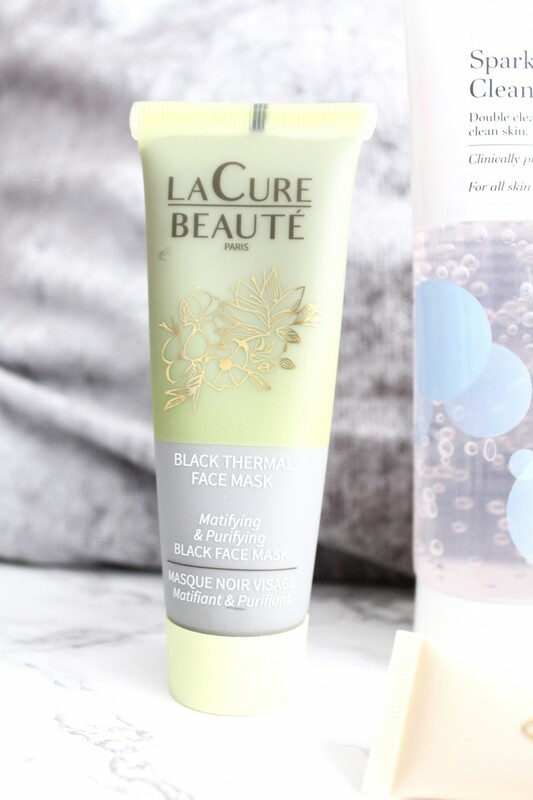 Mud masks are great for drawing out impurities, soaking up oil and leaving my skin feeling refreshed, so I love using the La Cure Beaute Black Thermal Face Mask. It performs a detoxifying effect on my face and my skin feels tightened, clear and matte after each use. 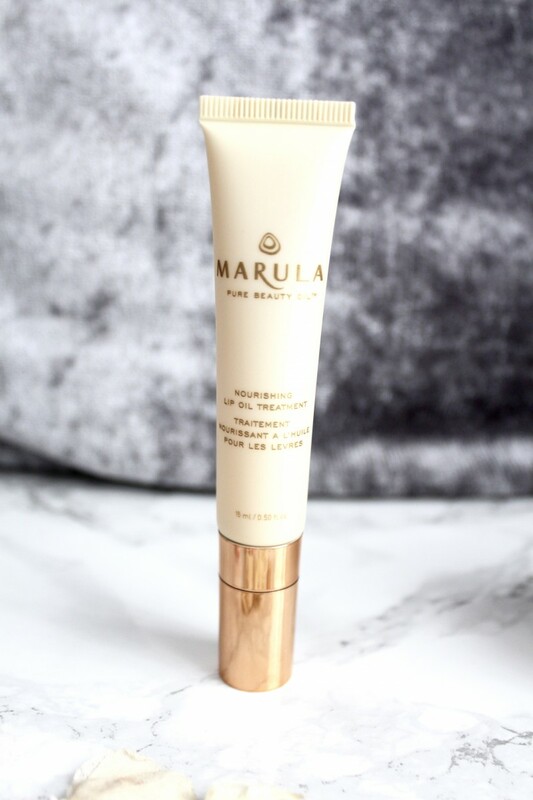 Lastly, just a quick addition, for my lips, I have been absolutely loving the Marula Nourishing Lip Oil. I have a thing for the skin on the lips and I always ensure they’re soft and smooth, so lip oils definitely work a treat for me. 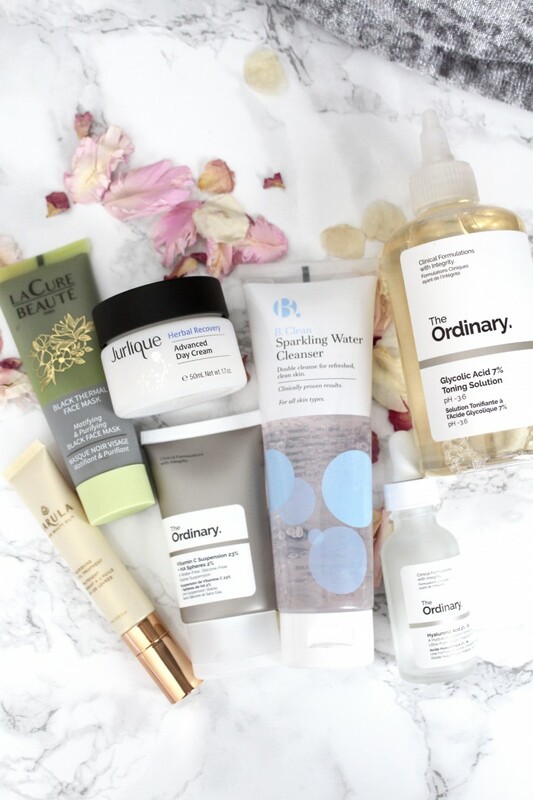 Do you follow a skincare routine to brighten your complexion? If yes, I would love to hear your tips and product recommendations.